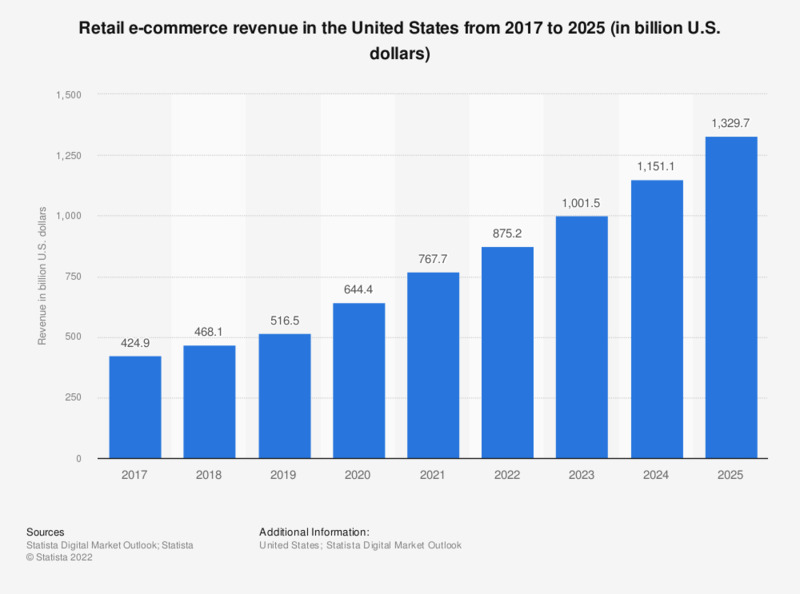 This statistic gives information on retail e-commerce sales in the United States from 2017 until 2023. In 2018, online sales of physical goods amounted to 504.6 billion US dollars and are projected to surpass 735 billion US dollars in 2023. Apparel and accessories retail e-commerce in the U.S. is projected to generate over 138.7 billion U.S. dollars in revenue by 2022. The United States rank behind several countries in terms of e-commerce sales as percentage of total retail sales - in 2016, almost a fifth of China's retail sales occurred via the internet, compared to only 8.1 percent in the United States. The UK, South Korea, and Denmark are also ahead of the U.S. in terms of retail e-commerce share.